A leading voice for Muslims in Southern California addresses friendly audience in Pasadena concerned about Muslim extremism and American hostility toward Islam. The Rev. 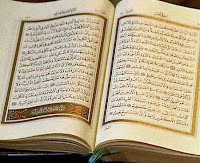 J. Edwin Bacon, rector of All Saints Church in Pasadena, had just returned from vacation when he heard about a Florida pastor who was threatening to burn copies of the Koran, Islam's holy book. "I was disgusted," said Bacon, whose Episcopal church is known for its progressive stance on many issues, interfaith relations among them. He said he thought: "Rather than burning Korans, we should be studying them." 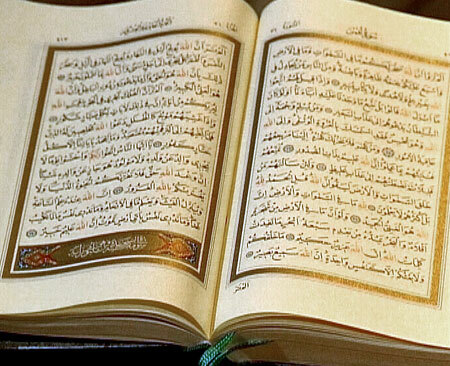 The Koran burning never took place. 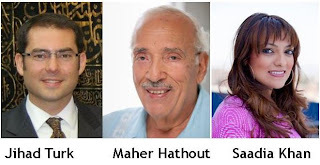 But from Bacon's reaction was born "Islam 101," a speaker series that ended Saturday with a lecture by Dr. Maher Hathout, senior advisor to the Muslim Public Affairs Council and a leading voice of Muslims in Southern California. About 75 people came to the church to hear Hathout give a brief overview of "Islam in a nutshell," then answer questions from a friendly audience that seemed concerned both about Muslim extremism and American hostility toward Islam. Hathout told the audience that as the "new kid on the block" among the three Abrahamic faiths, which include Judaism and Christianity, Islam has had two options: "to be accepted by other religions or to fight with them." He continued: "We are now discovering … that we can be different without fighting, or it will be a miserable life. And it is a miserable life right now, if you ask me." Hathout expressed horror at the discovery of explosives bound from Yemen to the United States, part of a suspected Al Qaeda terrorist plot. He said terrorism violates Islamic theology, and could ultimately destroy Islam. By using it "to defend Islam, you sacrifice Islam," he said. At the same time, Hathout complained about the use of the term "Muslim terrorist." No one ever says a "Christian terrorist" bombed an abortion clinic, he said, adding, "They will not give the religious adjective to that person." "If I shout and you don't hear me, it means you are deaf," he said. "It doesn't mean I didn't shout." 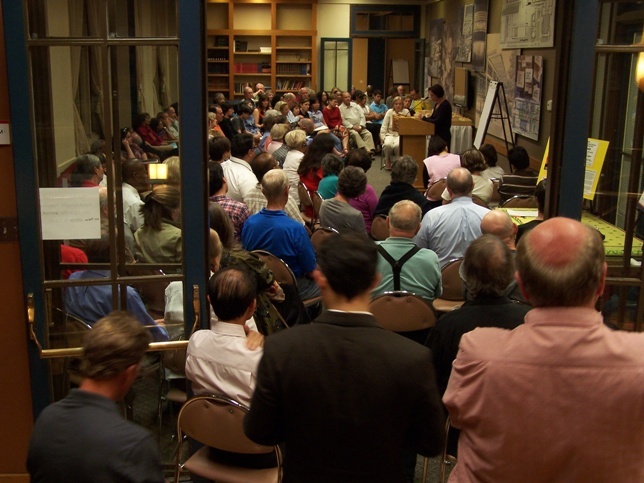 During the question-and-answer session, one member of the audience observed that if Hathout were to attend a "Christianity 101" lecture at All Saints, it would be different than a similar lecture at an evangelical church. She wondered if the same were true of Islam. Hathout said there is diversity within Islam, but also boundaries that cannot be crossed. The question also spoke to another point: To a large degree, Saturday's event was a meeting of like-minded sensibilities. There probably weren't any prospective Koran burners in the audience. Hathout wasn't changing minds so much as informing them. Bacon acknowledged as much afterward. "I've always thought that preaching to the choir is a very important thing," he said, "because the choir needs to be radicalized. On one level, you want to get the message taught. But on another level, you want them to be equipped and empowered to go out and courageously act." Those who attended the three-lecture series, he said, will be better able to explain to others that "most of the 1.6 billion Muslims in the world view their religion as a religion of peace, not as a religion of terrorism." "This is the real Islam," he said. "Dia de Los Muertos" is a festive and colorful celebration honoring our loved ones as they were when they were alive. It is also a day when we can honor those whose names we may not know, those who are among the many who die worldwide because of poverty, violence, oppression, and war. At All Saints Church we will celebrate the lives of all of these children of God – those we knew and those we did not know – on Tuesday, November 2 at 7:30 p.m. 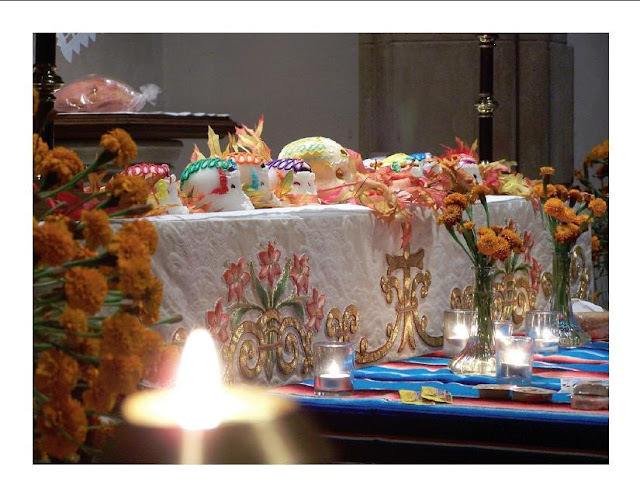 Please come to this joy-filled Día de los Muertos service and bring reminders of your loved ones. These can include your photographs, favorite foods and drinks, garments, flowers, stories, and other tangible memories. We will gather these together with all of our memories in thanksgiving, prayer, and celebration as we love those who have gone before us. If the fact that this country marks the 10th anniversary of our war in Afghanistan causes you concern, you will want to be in the Rector’s Forum at All Saints Church in Pasadena on Sunday. Peace activist Tom Hayden updates us on a new study group’s proposal to “fast track a peace process” in Afghanistan and withdraw 32,000 American troops by October 2011 and another 38,000 by 2011. The director of the study group, Matthew Hoh, is a former Marine and the first U.S. official to resign in protest of the Afghanistan war in 2009. Alternatives suggested in this report, “A New Way Forward,” will provoke discussion during President Obama’s review of war policy in December. In the midst of public discouragement over the state of the economy and the paralyzed-by-polarity congress, is a viable peace movement possible? 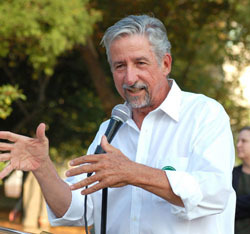 Former state senator and the leader of Sixties peace, justice and environmental movements, Tom Hayden has not lost heart. Come hear his thoughts on ending what he calls “these unwinnable, unaffordable and unnecessary wars” in Iraq and Afghanistan. Join us for this important and imformative forum on Sunday, October 31 at 10:15 a.m. ... or watch the live video stream on the All Saints website. PRIOR to the Bush administration, many of us thought the practice of torture was beneath the United States government. It is certainly antithetical to our central values that all people are created equal and are endowed by certain inalienable rights - to life, liberty, and the pursuit of happiness. In June, we joined with the National Religious Campaign Against Torture and interfaith religious leaders in decrying the evidence uncovered by Physicians for Human Rights that the U.S. government not only practiced torture but also experimented on detainees to refine torture techniques. While this month's report of unethical medical experiments on Guatemalans in the 1940s elicited public apologies from the Obama administration and a commitment to a thorough investigation, the only response to the evidence of these more recent experiments involving torture has been public denial by the CIA and silence from the White House. Medical experimentation without consent is wrong wherever it takes place. We need to uncover the full truth about our government's use of torture in order to begin healing our nation's soul. Thomas Merton was once asked the question, "What is the contemporary face of evil?" Merton's answer was dehumanization. A whole host of immoral practices grow from one central cancerous thought: that certain lives are less valuable than others. This lie has taken root in our time, for there is no life that is of less value than another. All of us have within our soul the living image of God. Every human being is sacred. When we do any harm to someone else, we have done that harm to God. Our practices of torture have unleashed into the world a flood of dehumanization, the effects of which we will feel and know for generations to come. Dr. Martin Luther King, Jr. believed that African-American people were not the only victims of racism. "Oppression has two victims," he said. "Both the recipient and the perpetrator of racism are victims." This is true of torture as well. We have reports of American soldiers who, having tortured detainees, are especially susceptible to suicide. Alyssa Petersen was one such soldier. She refused to participate in "enhanced interrogations" on naked detainees and days later took her own life. The official report said, "She could not be two people." Alyssa Petersen could not escape the torture inflicted on her own mind, soul, and body by the acts she was tasked with committing. In protecting persons from torture, we are also protecting those who would inflict torture. You cannot cause intentional pain to another, who bears the image of God, without suffering trauma in your own soul. Truly, the victims of torture include both its victims and its perpetrators. To an important degree that includes us all. Accordingly, healing for victims of torture must also include everyone.We must do everything we can to become agents of healing instead of oppression and torture. And true healing involves honest accountability. That is why you and I have a moral responsibility to urge President Obama, Congress and Attorney General Holder to initiate an investigation and ensure safeguards that torture and involuntary human experimentation will never happen again in the name of the United States. President Obama has refused to do so, effectively sweeping it under the rug arguing that he wants to "look forwards, and not backwards." But no victim can recover from the past by ignoring what occurred. The only way we can look forward with clarity of vision is to look backwards to heal what is wounded in our past. There is much moral reckoning that must be transacted. Trauma victims and trauma theory tell us that trauma cannot be healed unless and until it is acknowledged, reverenced, recognized and given a moral content. We must alter the mindsets which allow for such heinous evils as torture. Allowing torture against human beings has become our new norm because of the blanket excuse, "They are terrorists." In this way we have replaced the title God gave to the human being - child of God. In the Episcopal Book of Common Prayer, we ask God to purify our conscience by God's daily visitation. The Jewish tradition sees that each person is created in the image of God, as we read in the book of Genesis, and therefore each face is the face of God. The Koran tells us to honor the progeny of Adam. This is our prayer for our nation, that by the visitation of God our actions toward other human beings might be realigned with God's vision of them. The first step toward realigning our national conscience is openly and honestly accounting for U.S.-sponsored torture and the experimentation on human victims that bolstered torture practices. That is the only path to healing torture survivors. It is the only path to healing the soul of our nation. It is the only path to healing the soul of the world. Rev. J. Edwin Bacon is the rector of All Saints Episcopal Church in Pasadena. Maher Hathout is senior advisor of the Muslim Public Affairs Council. Rabbi Joshua Levine-Grater is senior rabbi of Pasadena Jewish Temple and Center. All Saints' Susan Russell was featured in the local NBC news last night in this segment on "Spirit Day" and wearing purple to take a stand against the bullying of LGBT youth. All Saints Church is delighted to once again partner with Learning Works! Charter School for another week of Theatre Camp. Learning Works! is an alternative school for kids in crisis and its groudbreaking Theatre Camp project is quite literally an embodiment of grace in action. This is the fourth time in two years All Saints has partnered in this work and it just gets better all the time. 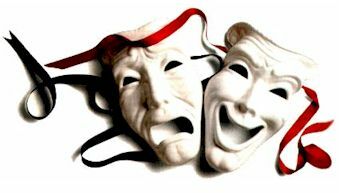 All instructors are All Saints parishioners who are experts in theatre, performing arts, and entertainment. They graciously give their time for this week long program which positively impacts the lives of youth who have little to no previous experience working in “theatre.” Theatre Camp aims to provide youth with an opportunity to stimulate and use their creativity through the performing arts, while developing confidence, self-discipline and team building skills in a safe, nurturing and supportive environment. We cordially invite you to attend the Theatre Camp Presentation on Saturday, October 23rd from 2:00 -3:30pm. The presentation, themed “Shifting” will take place at the Lineage Performing Arts Center at 89 S. Fair Oaks, Pasadena, CA, 91105. Admission is free and light refreshments will be served. Please RSVP to Juliana Serrano at jserrano@allsaints-pas.org or 626.583.2731 -- and help us get the word out about this exciting project serving youth at risk in the Pasadena area. Together we CAN make a difference! BULLIED in the All Saints Rector's Forum THIS Sunday -- October 24! The issue of LGBT youth bullying and suicide continues to lead the news and our hearts are breaking for those young lives damaged, broken and lost. Along with both faith and civic leaders across the nation, All Saints Church is committed to helping make a difference and both challenging and ending homophobic bullying, badgering and violence. As we continue to explore how and where our voices can make a difference, mark you calendar now for SUNDAY, OCTOBER 24 in the All Saints Rector's Forum (10:15 a.m. PDT) for a forum with Bill Brummel, producer of the compelling new documentary "Bullied." 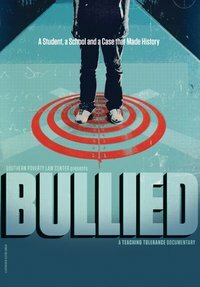 View the YouTube trailer for "Bullied:"
Plan to join us in the Rector's Forum on SUNDAY, OCTOBER 24 to hear from the filmmaker, see clips from the film and find out how YOU can be an agent of change to end the bullying of our at risk youth. Read more about the film on the Teaching Tolerance website. The All Saints Time Bank -- A new ministry at the right place at the right time! This Sunday, one of the "featured ministries" at All Saints Church will be the brand new "All Saints Time Bank" -- an innovative project designed to build community through the giving and receiving of the gift of time. All Saints Church is a place where people are encouraged to strive for health and wholeness in their lives and in the lives of their brothers and sisters everywhere. It is a place where we are committed to “making God’s love tangible 24/7.” The All Saints Church Time Bank takes these words to heart, making love tangible in our church community by the simple acts of giving and receiving. The All Saints Church Time Bank is an economy without money. It offers the All Saints community a way both to give and to receive time and talent as we respond to each others’ needs, building connections and community. And here's what some of the organizers of the All Saints Time Bank had to say in response to the question: What excites you about this new ministry? So come check it out! Visit the Time Bank webpages. Contact organizers for more information. Or visit the table on the lawn this Sunday -- October 17 -- to find out more. It was "standing room only" at All Saints Church in Pasadena on Tuesday night as over 100 parish and community members attended the first in a series of "ISLAM 101" presentations by leaders in the Southern California Muslim community. "To be religious in the 21st century is to be interreligious," said All Saints rector Ed Bacon. "And to be faithfully interreligious is to seek greater understanding about other faiths. 'Islam 101' is an important addition to All Saints' long-time commitment to interfaith dialogue, education and collaboration. I was thrilled by this great turnout for our first session and excited that we need to arrange for a bigger room for next week to accommodate all who want to come and be transformed and by the teaching of our Muslim brothers and sisters!" Imam Jihad Turk. ■ Thursday, October 21st ■ 7:00 p.m. Imam Jihad Turk is the Director of Religious Affairs at the Islamic Center of Southern California. Born to a Muslim-Palestinian father and a Christian-American mother, He founded and currently serves as Co-Chair of the Christian-Muslim Consultative Group, comprised of major Christian and Muslim denominations and organizations intent on under-standing each other and working together on common goals. He is also a Religious Director at the University of Southern California, where he advises and serves the needs of the Muslim students on campus. Dr. Maher Hathout. ■ Saturday, October 30th ■ 10:00 a.m. Dr. Maher Hathout — a leading spokesperson for the American Muslim community — is a retired physician best known for his tireless commitment to public service. He is an international figure who is highly regarded as a positive voice of Islam offering a unique and valuable perspective on national and international issues involving Muslims and a long time friend of All Saints Church. His articles and interviews haveappeared in such prominent newspapers as The Los Angeles Times, The New York Times, The Wall Street Journal &The Christian Science Monitor. Saadia Khan. ■ date and time TBD ■ Saadia Khan serves as the Hate Crimes Prevention Coordinator and Census 2010 Coordinator for the Muslim Public Affairs Council. Saadia joined MPAC in the summer of 2007 as an intern in the Los Angeles office and after her internship joined the staff, helping plan the 1st Annual Youth Leadership Summit in LA and the 7th Annual Convention. MPAC is a long time justice ally of All Saints Church and Saadia is a compelling and dynamic speaker who has much to teach us about Islam’s core values of peace, justice and compassion. Here's the video we recorded Sunday that finally made it up online this morning. I can't think of a better way to honor this anniversary of Matthew Shepard's death than to recommit ourselves to "make it better" for LGBTQ youth at risk. God bless! All Saints Church has an ongoing commitment to God’s agenda of peace through true community -- and one of the ways we live out that commitment is through interfaith education, dialogue and collaboration. I would like for you to join me this Tuesday, October 12 at 7 p.m. in welcoming Dr. Laila Al-marayati to the All Saints Forum as the first speaker in our exciting Islam 101 series. Tuesday’s opening event will be followed by other great Muslims scholars, including Dr. Maher Hathout and Jihad Turk. 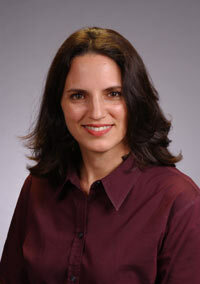 Dr. Al-marayati is a Palestinian-American physician, an Islamic activist and former presidential appointee to the US Commission on International Religious Freedom, where she served for two years after being appointed by President Bill Clinton. She is a person of a profound faith whom I admire tremendously. She certainly has much to offer us, not only in terms of how she uses the Koran in her daily life but also on how she applies its teaching in a way that is both inspirational and transformative. Do not miss this important opportunity to study Islam as a religion of peace, justice and compassion. For more information contact Abel Lopez at 626.583.2748. White House Celebrates Archbishop Tutu as "Moral Titan"
With thanks to our friends over at Episcopal Cafe, here is a wonderful video moment with Archbishop Desmond Tutu (from The White House website) and the following "Statement by the President on the Retirement of Archbishop Desmond Tutu:"
It is with deep appreciation that I note Archbishop Desmond Tutu’s retirement from public life today on the occasion of his 79th birthday. This event invites us to celebrate his many accomplishments from which we have all benefited. For decades he has been a moral titan—a voice of principle, an unrelenting champion of justice, and a dedicated peacemaker. He played a pivotal role in his country’s struggle against apartheid and extraordinary example of pursuing a path to forgiveness and reconciliation in the new South Africa. He has also been an outspoken voice for freedom and justice in countries across the globe; a staunch defender of the rights of lesbian, gay, bisexual and transgender persons; and an advocate for treatment and prevention programs to stop the spread of HIV/AIDS. We will miss his insight and his activism, but will continue to learn from his example. We wish the Archbishop and his family happiness in the years ahead. 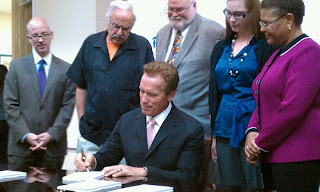 All Saints staffer and Director of the Office for Creative Connections Juliana Serrano was on hand for the signing this morning at Vista Del Mar Child & Family Services in Los Angeles. This important legislation was supported by the All Saints Foster Care Project. It was also one of our "Faith in Action" Sunday-Actions-on-the-Lawn -- an action that generated over 25% of the letters to the governor supporting the bill. Congratulations to all who worked so hard to pass this much-needed legislation that will help make love tangible to California's foster children! For more information on the All Saints Church Foster Care Project visit their website or send an email here. St. Francis Day 2010 @ All Saints Church! It was an "all things bright and beautiful" day at All Saints today where the Feast of St. Francis was celebrated with a wonderful sermon about the radical discipleship of Francis as peacemaker and bridge builder -- AND the blessing of MANY beasts on the lawn during the 9am "Eucharist al fresco" celebration.